Scenic Hotel Franz Josef Glacier is situated in one of New Zealand's most spectacular natural regions, welcoming guests to this enticing and dramatic Westland World Heritage National Park. Scenic Hotel Franz Josef Glacier is just moments from one of New Zealand's most spectacular natural attractions, the Franz Josef Glacier. 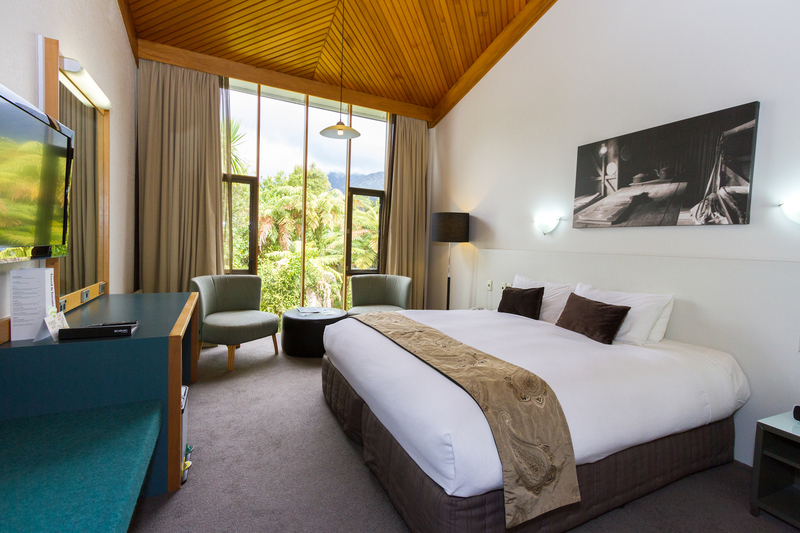 Scenic Hotel Franz Josef Glacier makes the most of its alpine location and offers quality accommodation with multiple room options suitable for solo travellers to those travelling in small groups. 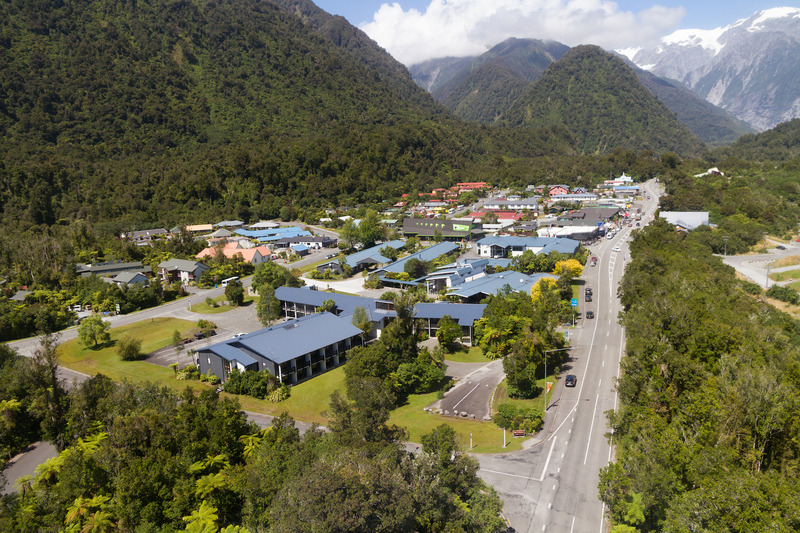 The hotel is in a premium location right in the heart of Franz Josef Glacier Village, making it the perfect base while exploring the magnificent Westland region. Spend the day exploring the magnificent scenery and then take advantage of the natural hot springs or the Amaia Luxury Spa both located just next door to the hotel. The professional, friendly staff look forward to welcoming visitors and helping to make their stay enjoyable and comfortable. A visit will be made even more memorable by the many natural wonders in the area. Just be sure to bring a camera! Canavans Restaurant provides hearty West Coast food, with local fare, wine and beer featured on the menu. Canavans Restaurant is available for casual dining and the open plan design means it is the ideal location for groups and functions. Canavans is open year-round for breakfast from 6.30am - 10.00am and dinner from 6.00pm until 9.30pm. The Glasshouse Restaurant showcases the ‘best in the west’ offering fresh locally sourced New Zealand fare, open for dinner from 6pm until 9.30pm (summer months only). The Moa Bar named after the twin moa statues that are an iconic feature of the property, the moa bar is located in the heart of the hotel and provides the perfect place to unwind next to the roaring fire or on the balcony enjoying stunning West Coast weather. Open from 4.00pm, the Moa Bar offers a wide selection of New Zealand beers and wines, along with spirits and non-alcoholic beverages.